Sandboxx is a paid electronic mail service to send letters to your recruit in boot camp in shorter time than standard US Mail. In just four easy steps you can send a letter to your recruit in boot camp with the Sandboxx app. With Sandboxx, you can type a letter from your phone, add a photo and hit send. Sandboxx will securely print your message and deliver it to your recruit. All letters sent before 5pm EST are delivered to the base the next business day. Sandboxx pre-sorts mail by company and platoon so that when it gets to the base, your recruit will receive it faster. Sandboxx also includes a self-addressed return envelope so that it is easier for your loved one to reply. Sandboxx automatically and privately convert each letter into physical mail. Mail call has never been so frictionless. The best thing about Sandboxx letters - they include a return envelope with each letter for swift return to you. 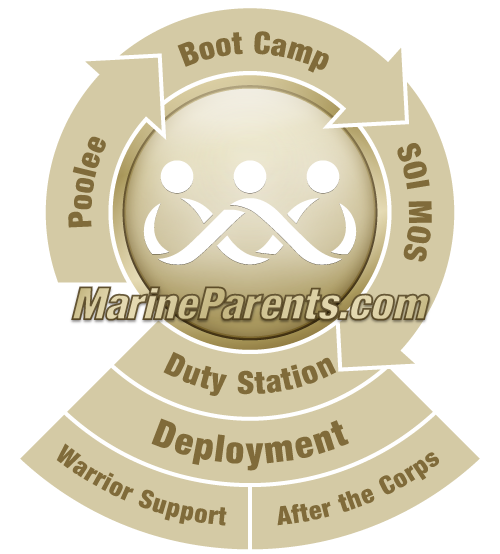 Your poolee can sign up for SANDBOXX prior to shipping to MCRD. Upon arrival at MCRD, your recruit will receive information on Sandboxx and be given an opportunity to sign up for him/herself as well as family members. Recruits perform at higher levels in boot camp when they receive encouraging letters and photos from loved ones at home. You need your communication with your recruit to be safe, secure and private. Sandboxx provides safe, secure, and private mail. Your letter will be delivered at Marine Corps Recruit Depot San Diego or Parris Island the next business day if you send it before 5:00 p.m. EST.